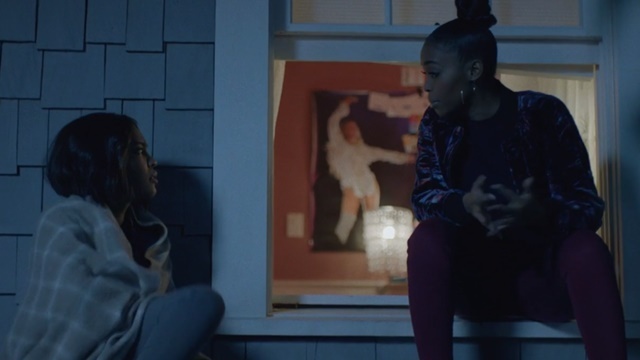 The streets of Freeland found no respite as the story of Black Lightning and the Pierce family continued through its second season. This can be attributed to the emergence of new enemies (Looker, Cutter, The Masters of Disaster) alongside Tobias, but much of the season’s turmoil occurred off the battlefield. The Pierces found much of what they knew about themselves uprooted and cast against them, forcing internal battles onto them as their city suffered in their surroundings. Self-determination and discovery permeated their journey, ultimately fueling their victory over the city’s greatest foe. But, like any fight worth enduring, a new challenger emerges once the first rival falls. The matriarch of the Pierce family’s involvement in events shifts to a more intellectual effort. Shaken by using lethal force against Proctor’s agents, Lynn, with help from Gambi, takes over the ASA’s monitoring of the Green Light Children. Her goal to heal these kids conflicts with those of ASA agent Odell and controversial meta scientist Dr. Helga Jace. Odell wants to develop the kids into weapons for the government and employs Helga to push the process forward quicker. Unfortunately, Helga’s practices kill multiple subjects and she is pulled from the project. Helga later becomes an ally of Tobias before selling him out to the police and, ultimately, ending up in Markovia’s possession. The two have a history based on meta development that runs deep. 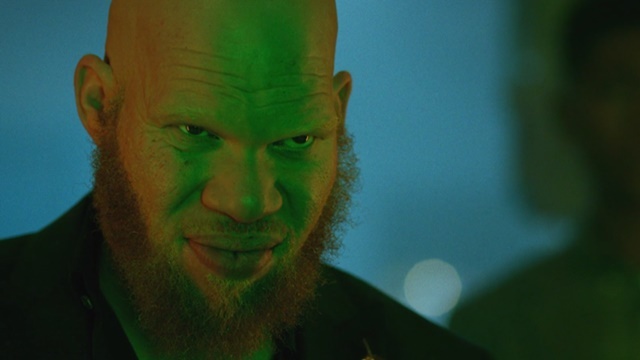 Tobias frees the GLC, thinking they will join his fight against Black Lightning. The plan fails and Lynn begins monitoring them as they begin to reenter a society that has passed them by. That is all but three: Wendy, Issa and Khalil. These three remain locked in pods in a secret facility under Odell’s care. Freeland’s top dog might’ve failed to kill Black Lightning, but never say the man doesn’t have a backup plan. He uses Proctor’s briefcase to monitor the Green Light Children project, ultimately using it to steal them and The Masters of Disaster, forcing them to work for him. They’re a needed addition after Syonide’s death and Khalil’s defection. The latter brings master assassin Cutter into the picture. Their combined efforts lead to Khalil’s death while a romance builds between the two villains. It doesn’t last long as Tobias’ unraveling psyche pushes Cutter away until she can’t take it anymore. His plan to deal his stolen metas to black market bidders is foiled by the Pierce family, leaving Tobias to rot in a meta-specific prison. The two Pierce children move along paths similar in their discovery. Anissa’s fling with Grace appears to be in the rear view, but her robin hood-esque side gig thrust her own fallibility in her face. This realization illuminates her desire for companionship, leading her back to Grace. Things end suddenly when Grace runs away, leading Anissa to learn that Grace is a shapeshifter carrying shame and fear for how her secret could impact their relationship. Jennifer is easily the major focus of the season. Coming off a small but vital role in the family’s fight against the ASA, her powers are much more volatile than initially believed. That control increases steadily thanks to help from meta-guru Perenna, which, along with regular marijuana use, helps soothe her mental scars as well. Her tenacity takes shape when she runs away with Khalil, evading her family and Tobias’ forces while redeeming her first love. This make Khalil’s death that much more defining. She promises to kill Tobias at Khalil’s funeral, taking the first opportunity to do so with an experimental power suit. She ultimately relents, aiding her father in taking Tobias alive. 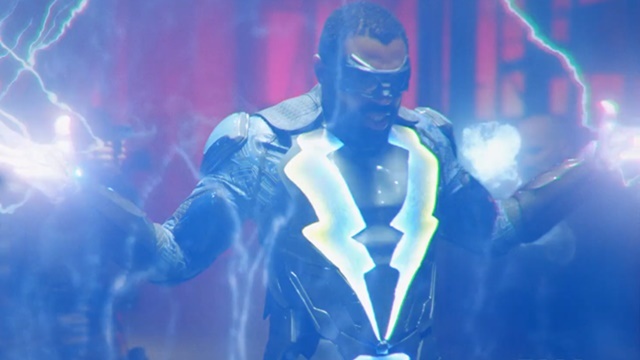 Jefferson shows few qualms about throwing bolts as Black Lightning, but his most powerful moments come outside of the costume. His absence during Khalil’s attack on Garfield leads to his ousting as principal. Even worse, the board replaces him with a white man that doesn’t know to check his inherent biases at the door. At the same time, he is forced to reveal his double life to Henderson, sparking a rift that heals over the course of the season. Jefferson has larger issues to tackle though. Gambi’s supposed death and Jennifer’s disappearance force him to confront the various traumas in his life and finally acknowledge his own mental health struggles. Luckily, Gambi and his daughter are still alive and ready to track down Tobias. He convinces Jennifer to spare Tobias’ life, putting a lifelong mission to bed. Tobias is in prison, but Freeland’s protector isn’t done. Odell, fresh off spying on the family, informs Jefferson that the Markovians are coming, and they’re bringing war to Freeland’s streets.